Margaret “Peg” McMarrell passed away from her early life into eternal life on June 10, 2013, at the age of 91. Peg was born Jan. 8, 1922, to Edward and Mary Ley in Kendallville, Ind. She worked as a waitress while in high school and a comptometer operator for General Electric after graduation, and later in the high school study hall in Eureka. Being a mother and housewife were her first love. Peg married Mac McMarrell on New Year’s Eve 1942. They were married for 54 years. After 20 years of travelling with the Air Force, they retired to Eureka and built their home on Glen Lake. 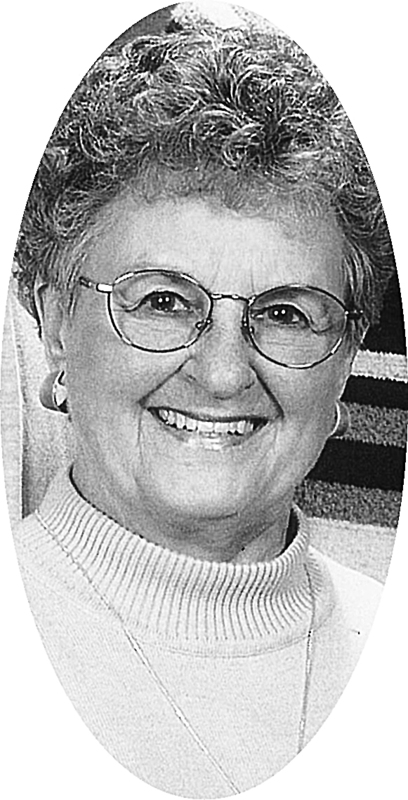 Peg was very involved with her church and enjoyed bowling, gardening, crossword puzzles, cooking, baking, swimming, sewing, knitting, hunting, fishing and singing in the church choir. Peg was deeply loved and will be dearly missed and remembered by all. Her children and grandchildren are forever blessed by her presence and eternally honored by her legacy. Peg was preceded in death by her parents, brother, husband, and son Curt. She is survived by her sister, Virginia Wilondek; daughter Mary Etta and Bob Fothergill; grandchildren Ryan and Karen Fothergill, Melissa and AJ Sichting, Jordan McMarrell, Nick McMarrell, Lance McMarrell; step-grandson Russ Fothergill; and great-grandchildren Amy, Jeffrey, and Molly Margaret. The family would like to acknowledge Stephanie and her staff at St. Mary’s for the wonderful care she received over the last 3½ years since her stroke. In lieu of flowers, the family asks that you please make donations to the American Life League or Our Lady of Mercy Catholic Church. Mass of the Resurrection was held at 10:30 a.m. Monday, June 17, 2013, at Our Lady of Mercy Catholic Church. Parish vigil and rosary were held Sunday, June 16, from 1-6 p.m. with Rosary at 6 p.m. at the church.